No time to pack school lunches? Smart Lunches will outsource it. No time to pack school lunches? Outsource it. Let's be honest. For busy parents, packing your child's school lunch can quickly devolve from a labor of love to a rushed morning chore. This is where Smart Lunches steps in. 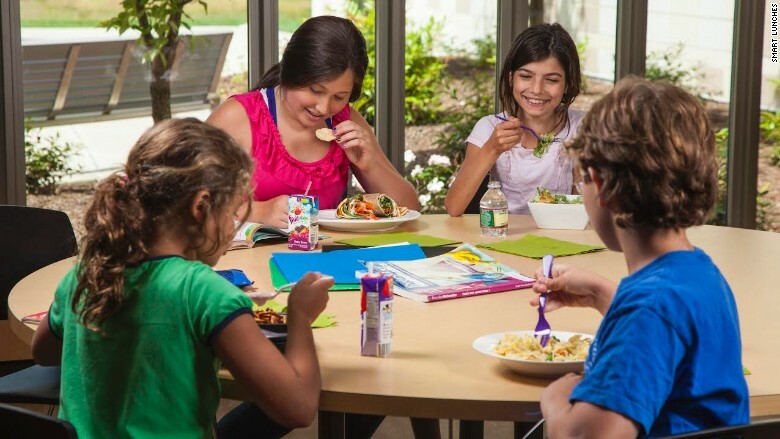 The Boston-based startup wants harried moms and dad to outsource their kids' school lunches. Schools partner with the startup, and then parents specify food restrictions, allergies, and likes and dislikes. They can order meals for the entire week or just the days they want -- there's no minimum requirement. The payoff is obvious for both parents and kids, said Smart Lunches CEO David Morris. "It removes the school lunch anxiety for parents because we ensure that their children get a freshly-prepared nutritious lunch delivered to their school every day," said Morris. Smart Lunches, founded by two moms in 2011, works with local caterers to prepare meals each day. Each meal costs $6 to $7, while additional snacks or drinks cost a couple dollars extra. Morris said the menu changes daily. "It's a big variety. We have at least 50 entrees to cycle through," he said. Those include everything from chicken potpie and wraps to salads and chicken fingers. It's free for schools to participate, and, in fact, 1% to 2% of each sale goes back to the school, said Morris. Smart Lunches, which has 35 employees, was acquired by VC firm Data Point Capital a year after it launched. It currently has 200 school partners in Boston, Philadelphia, Washington, D.C. and Chicago. "We're getting anywhere from one to five requests from new schools every week. So we're hoping to expand elsewhere quickly," said Morris. This fall, Smart Lunches will launch in North Jersey and Baltimore. For now, the service is offered only to private and parochial schools and camps and daycares. "There are thousands of those schools that don't offer in-school lunch programs to their students because they can't justify the expense," said Morris. He said the company was also open to partnering with public schools down the road as well.